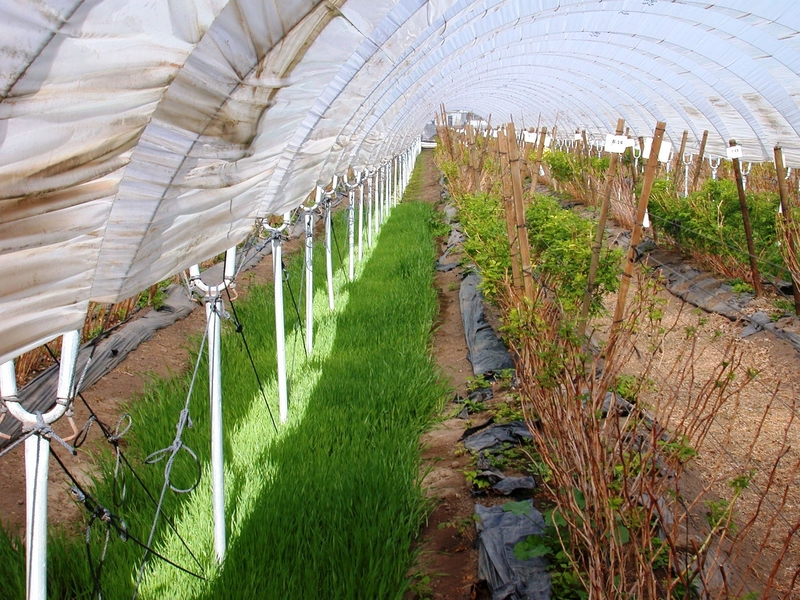 In a pilot study we looked at what would $10-15/acre worth of barley or triticale do in post rows of tunnels with raspberry. The seed were broadcast at 600lbs/A and rototilled into moist soil. This high rate was successfully used by colleagues on the central coast in plasticulture strawberry furrows and in our warm tunnels the cereals established dense canopy within 4 weeks after seeding. It was not surprising that cover crops provided the benefits of controlling erosion and weeds. For raspberry growers who rely on glyphosate and paraquat, it is especially valuable to prevent establishment of Conyza spp. known to be resistant to both herbicides. 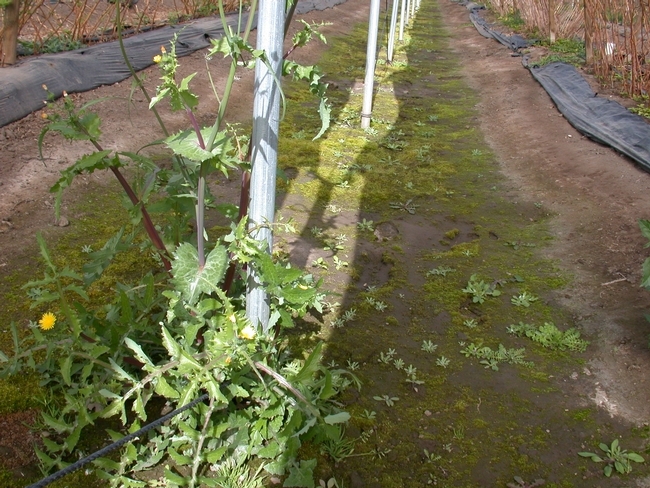 Established cover crops were effective in competing with weed seed germinated from soil seedbank and preventing the wind dispersed seed from reaching the wet soil surface they needed for germination. With El Niño looming we secured CDFA funding to expand this work to look at other post row treatments as potential BMPs for water, nutrients, legacy pesticides and weeds in tunneled systems. Now we just need a little rain.